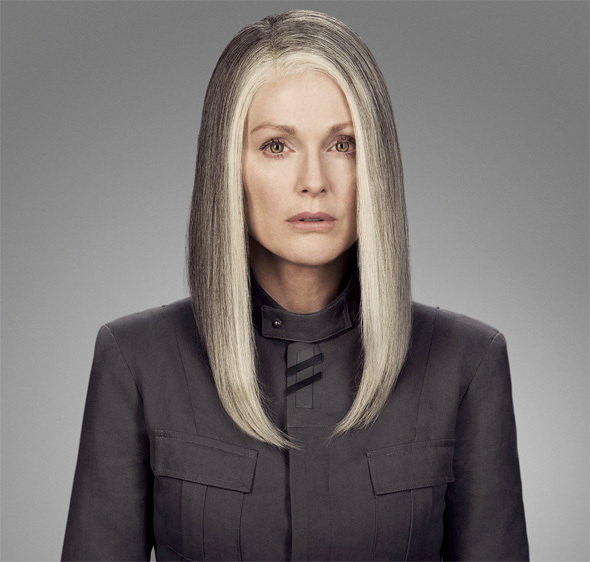 Later this year, The Hunger Games franchise continues with Mockingjay - Part I, the first in a two-part finale of the international young adult sci-fi sensation starring Jennifer Lawrence. After The Hunger Games: Catching Fire left us on a bit of a cliffhanger, we're eager to continue the story. The first teaser poster arrived pretty early, and now a cool new official website has arrived, giving us our first look at the film with an image featuring Julianne Moore as President Coin as she speaks with the late Philip Seymour Hoffman as Plutarch Heavensbee. 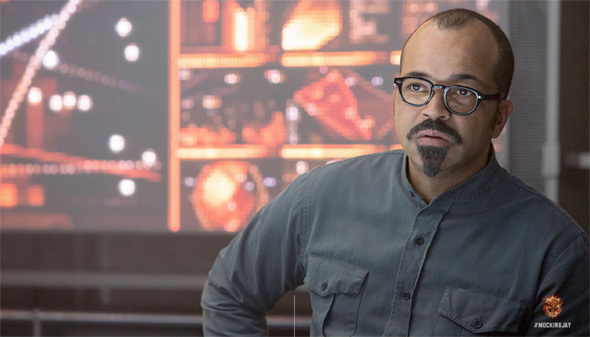 There's also a shot of Jeffrey Wright as the brilliant Beetee, seemingly in the same scene, and an extensive interview with Moore about starring in the film. Look below! Check out the TheHungerGamesExclusive.com to read parts of the script and more cool stuff. 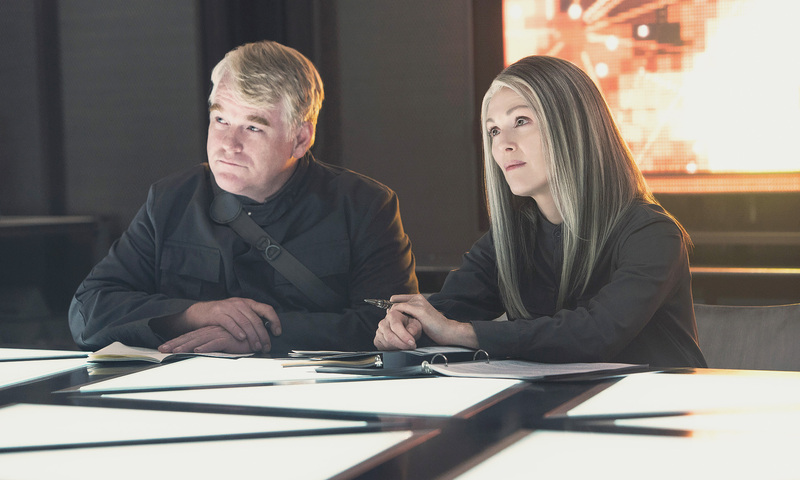 The Hunger Games: Mockingjay - Part I is the first part of a two-part finale in The Hunger Games franchise, based on the books by Suzanne Collins. In this chapter we follow heroine Katniss Everdeen's (Jennifer Lawrence) journey as she leads the districts of Panem in a rebellion against the tyrannical and corrupt Capitol. As the war that will determine the fate of Panem escalates, Katniss must decipher for herself who she can trust and what needs to be done, with everything she cares for in the balance. Francise Lawrence directs the adaptation written by Danny Strong and Lionsgate releases the film November 21st. Good to see Wright is back. Extremely underrated actor. Moore looks hot...give me more of Moore. Hoffman looks great. It will be a bittersweet performance if nothing else.